Opened in 1959, Lakeside Dining Hall was the second dining hall to open on campus, located between the two oldest Lakeside dormitories, Riggs Hall and Johnson Hall. Today, it services the entire East Campus community. 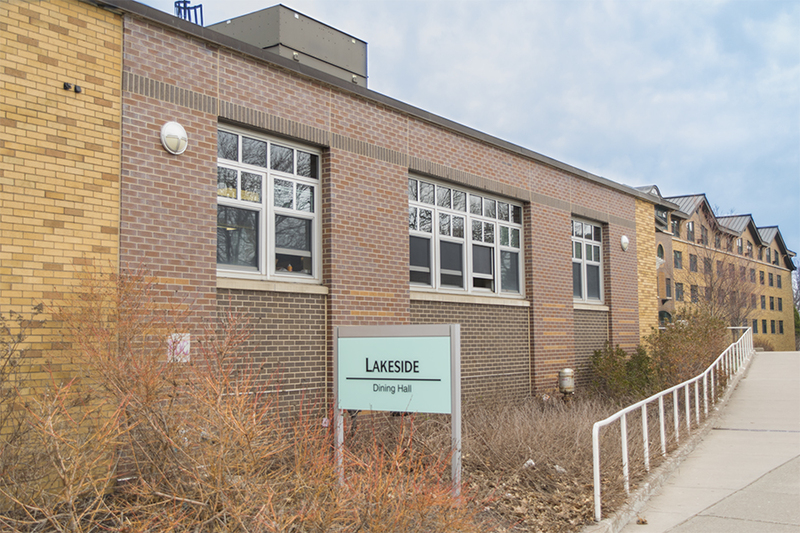 Lakeside Dining Hall derives name from its location, given its close proximity to Lake Ontario.